From a Hermetic point of view, the abilities to communicate and write are awesome things. Heck, the philosophy’s named after Hermes Trismegistus, a form of Hermes, the Greek god of language. He was also worshiped in a syncretic form as Thoth-Hermes, combined with the Egyptian god of scribes and the written word, face shaped like a reed pen (the dude literally speaks the written language). 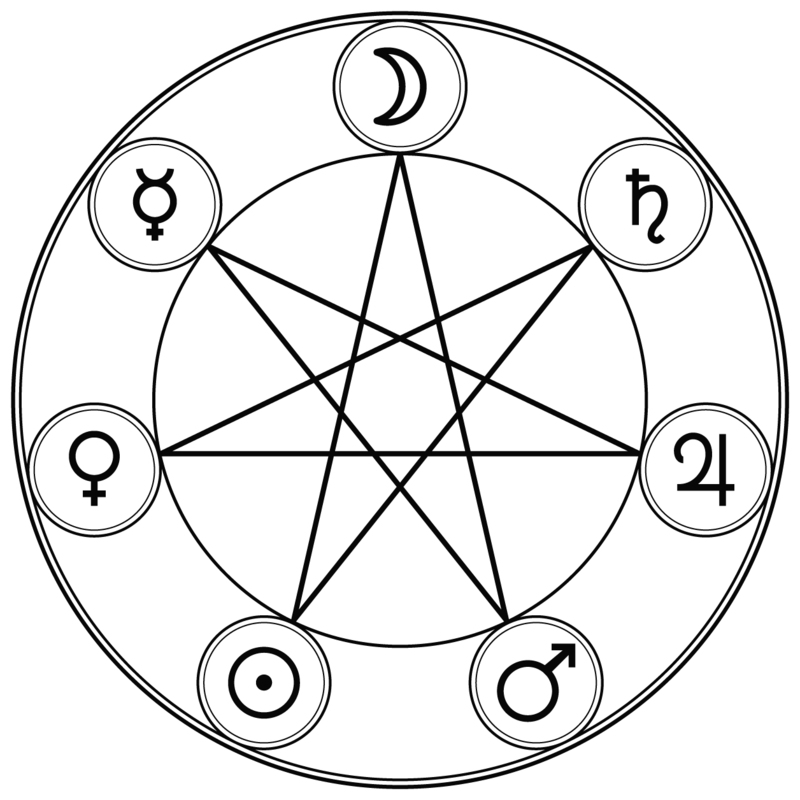 And ever since those ancient days when Hermeticism was first coming around, we’ve had this idea of magical tomes and scrolls of power, with wizards writing arcane formulae to achieve great changes in the world. Of course, the medium in which those arcane formulae is just as important as the content, and that medium is the kind of script to be used. Hebrew and Greek, for a long time, were the default liturgical or magical languages, but as the Catholic Church gained in power throughout western Europe, Latin became the primary medium for occult knowledge. 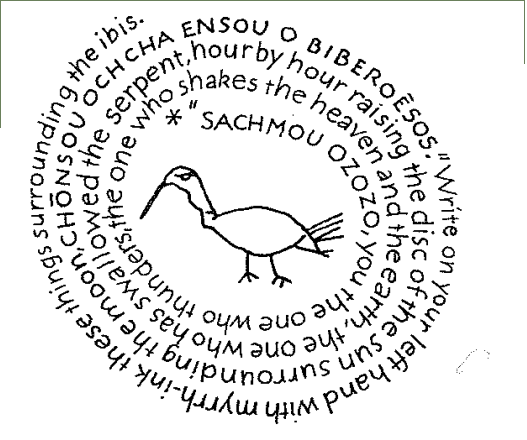 However, some things were kept more-or-less the same, such as the “barbarous words” that are sometimes bastardized renditions of Coptic words or Aramaic names. Sometimes, magicians just kept using a particular language for its heritage and vocabulary, which is a good reason Hebrew has been so persistent in Hermetic/qabbalistic/theurgic practice. Of course, even within Hebrew, there are different ways to write things down: namely, the square script (what we think of as Hebrew printed letters) and the Celestial script. The latter is a styled form of Hebrew script, more angular and with little dots instead of serifs. It was the language that the stars themselves spelled out in the night sky, and was preferred for use with angelic or celestial beings instead of the more base, earthly square script. I only realized this when I compared instructions to make lamens for the angelic kings of the elements and for the angelic governors of the planets. The former take their names written in Hebrew square script, since they’re “of this world” and closer to human contact; thus, we use a script that says the same. The governors of the planets, on the other hand, use the Celestial script, since they’re from a supralunar realm, above the earth and belonging to the stars. The script, again, says as much. The letters may look similar, but it’s like speaking with a different accent: Californians may use one set of pronunciations and slang, while someone from Manchester would use a radically different set. Altering one’s accent and dialect to be made more understood by the listener would be important to getting across ideas and establishing a clear channel of communication. And then there are things like the Tetragrammaton and the highest of the highest beings, which don’t tend to communicate in any way we normally think of communication. I’ve barely got any experience with this, but when you get to that level, different things happen. Eventually I’ll have more to write about this. Of course, in writing this, I don’t mean that other magical writing systems can’t be used. Theban is another good “earthly” language substitute for anything not written in Hebrew, such as English names, which don’t often lend themselves to Hebrew transliteration. 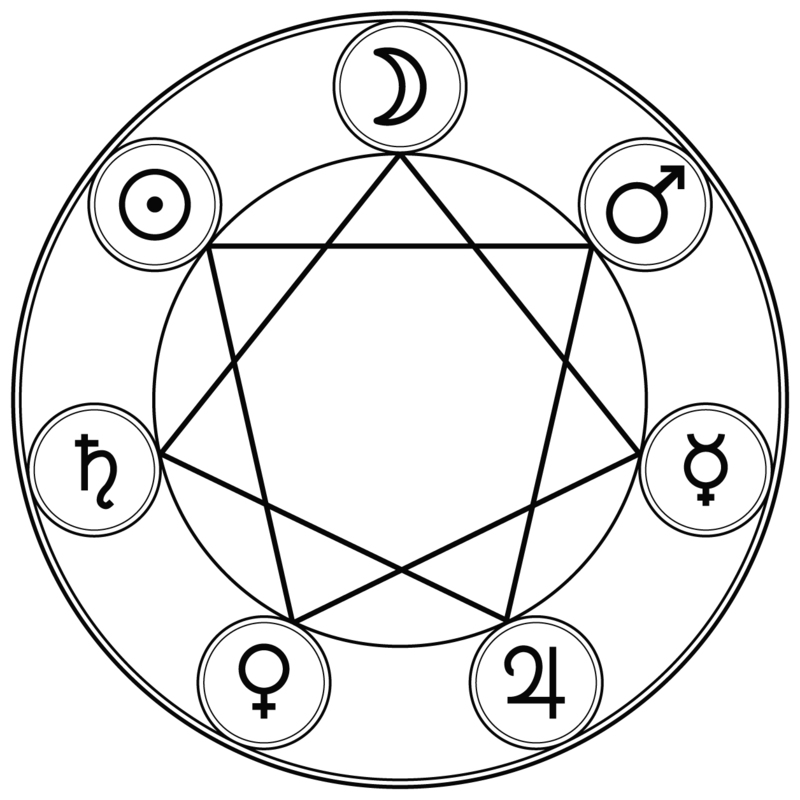 Malachim and Passage du Fleuve are also alternatives for Celestial, and Enochian’s similar but on a whole ‘nother level of communication and angel work. I’ve also seen the Alphabet of the Magi used for both celestial and mundane writing as well. There are many choices, and the spirits know we’re calling them and are apparently fairly multilingual (given how many generations of magicians across linguistic lines have called them up, I’d hope they be). As a resource for writing systems, I strongly suggest heading over to the wonderful site Omniglot, which strives to detail every writing system and written language. They even have a section on magical writing systems including Celestial. Update 6/18/2011: I found a site that shows you how to write the Hebrew script, including the proper stroke order of each letter, at Hebrew4Christians. It shows you how to write each individual letter both in the square script modern cursive styles, which is helpful if you plan to do a lot of calligraphic or fanciful work with Hebrew names and words.